Electric start on 8000E for easy start up. 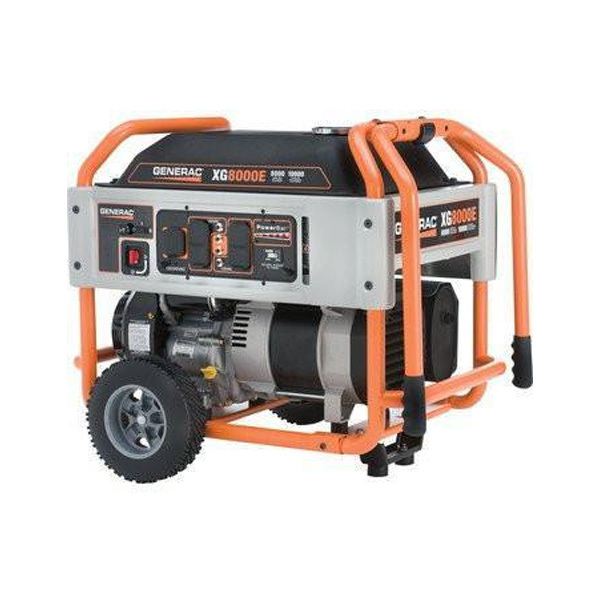 Generac’s OHVI engine was designed specifically for generators. It out runs competitive generator engines with an engine life that is three to four times longer. Compact and durable construction with oversize full-wrap frame tubing and one of the best power-to-size rations on the market. Comprehensive, user-friendly control panel includes engine controls (start/stop, fuel shut-off, choke), PowerBar watt meter, and LED illumination for easy, convenient operation. Low-Oil pressure protection to protect the engine from damage. Circuit breaker outlet protection including dual breakers on 120/240V outlets and GFCI protection on 120V outlets. Maintenance kit included.